Indian Army Recruitment 2016 Apply Online for 635 Havildar Education Posts In the Army Education Corps in Science And Arts Stream. Apply through prescribe format on or before Last Date. 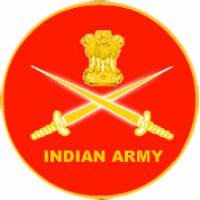 Download application form at – joinindianarmy.nic.in. The Indian Army had recently Publish the Recruitment Notification 2016 for recruiting up various Havildar Education vacancies in Science and Arts Stream in the Army Educational Corps of Indian Army. Eligible candidates may apply online from 16-04-2016 at 10:00 hrs to 15-05-2016 at 17:00 hrs. Other details like age, qualification, selection process, how to apply are given below. Age Limit: Candidates age should be 20 to 25 years as on 01-09-2016. How to Apply: Eligible candidates may apply online through the website “www.joinindianarmy.nic.in” from 16-04-2016 at 10:00 hrs to 15-05-2016 at 17:00 hrs.